Hello! A very warm welcome to Pretty Web Design. We design pretty functional Divi Child Theme Templates that will take your business to the next level. We meticulously and carefully craft our modern Divi Child themes, so all you have to do is upload your images and text. 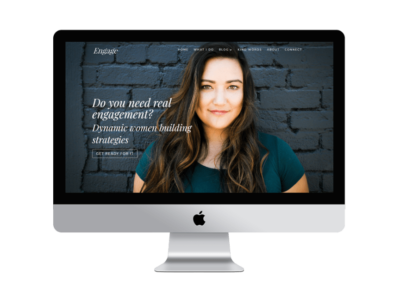 Have your website and your brand on the internet within hours – easy, customisable Divi Child Theme Templates designed by professional Divi Web designers, for small business owners, photographers, solopreneurs and bloggers. Most of our customers are looking for an easy web design experience and setting up your website should be fun, right? Install a Divi child theme, use the Divi Builder layouts, upload your content & have your website up and running in a couple of hours. Divi Child Themes are the easiest way to get you on your way to building your business empire….fast! Our thoughtful and professionally designed custom Divi child themes are the answer to taking away all your website hassles! We love Divi and Divi is here to stay. The Divi Theme is a solid web design framework developed by industry experts. We provide a full custom website design experience using the Divi framework as our parent theme of choice and create custom designed websites in the form of a child theme. We just do all the tech – custom website design at a tenth of the price. What’s hot in the shop! We understand that starting a business can be a expensive. We know that the costs start mounting up even before your first real money is made. We know the drill, we have been there ourselves. Trying to translate your vision of your business empire to a designer can be a difficult task. You don’t need to tell us anything, unless you want us to customise your theme, as what you see is what you get. You can drag and drop the modules in the Divi builder as you like, change the colours and the fonts, upload your own logo and favicon. Pretty is great, but you want fab & functional? Our feminine Divi Child Theme Templates are created for the modern entrepreneur, looking for an easy custom design website experience. Select a theme, install, upload your content and away you go! We have created a selection of Divi child themes that are fully functional WordPress websites. Our Premium Divi Child Themes are eCommerce integrated and all come with customised page layouts and customised blogs. Our Divi child themes are built on the Divi theme Framework and include full installation instructions to get your website up and running in no time. Quick, effective custom website development. There in nothing we like better than to help our customers getting their websites just right, so you can always rely on us for stellar customer support. We take pride in our work, so we always go the extra mile to help YOU! You are just starting out with very little funds to build your empire? Yes, we know the story. So, you need a WordPress theme that will elevate your business to the next level. And this is exactly what we offer YOU! So, you love the theme you just purchased…but need a little vavavoom? Send us an email and we will give you an no-nonsense quote. We offer quick,easy and effective solutions for your online business. WordPress powers 30% of the internet today! 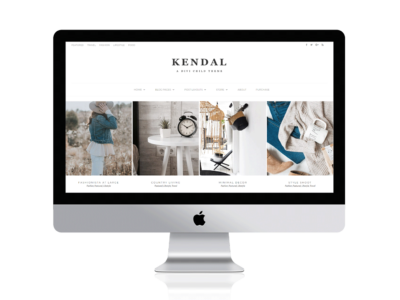 We build our themes for self hosted websites, built on WordPress, the market leader in content management systems. And so will you! Divi is one of the most purchased frameworks on the net. There is masses of information available for you to learn the nuts and bolts of using Divi. We don’t make cookie cutter themes! We build our themes from the ground up, offering you a near custom design experience! It’s like having your own web designer at a fraction of the cost! Want to make a quick layout change? You can drag and drop the Divi modules. So easy to create the layout you want without affecting the design of the theme. We have done all the coding to ensure that our designs look fab on all devices. Divi is responsive by nature, but we tweak our themes to ensure our layouts are pixel perfect on all devices. You can actually see your changes! See your website take shape in real time with the built in Divi visual builder. It’s some kind of awesome! There is masses of it! 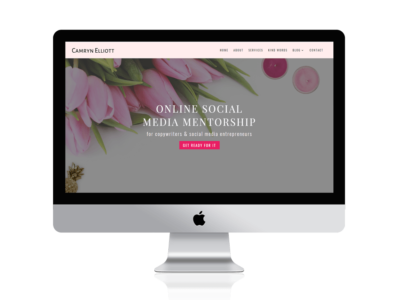 Detailed step by step instructions to get your theme up and running – quickly! Need help? Ask us or ask the fabulous online Divi community. Oh so helpful! We are known to go the extra mile to help our customers, so we are literally just an email away. We pride ourselves in helping and giving back where we can to help you be successful in your business!